YouTube’s Creators for Change program brought together comedians, filmmakers, poets, vloggers, and community activists and funded their projects that spoke to the depth and hope in humanity. Each of the 50 creators made films that tackle topics like hate speech, xenophobia, racism, homophobia, and bigotry. 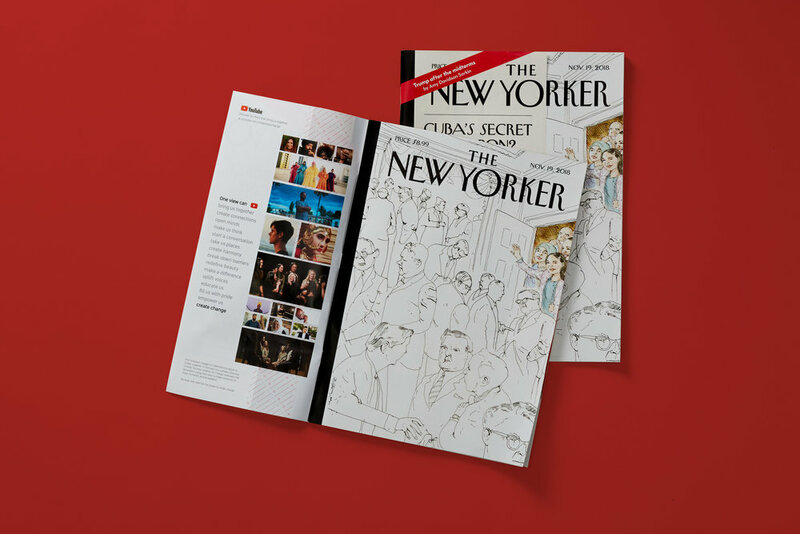 We created a campaign around these films with a TV spot, 8-page spread in the New York Times, and over 500 pieces of content in 14 languages across all social platforms. The result was a message of empowerment: one view can create change, and that view could be yours.